Most home occupiers never give thought to the maintenance of their hot water system Melbourne. Home occupiers also don’t bother to learn how to use their hot water system Melbourne. This article will give you a brief understanding of how you can light the pilot light or fix your hot water system. Have you run your bath water only to realise its ice cold? Have you jumped in the shower and been sprayed by cold water? If so, chances are you have a problem with your homes hot water system Melbourne. Don’t stress, there are a few basic things you can try yourself prior to calling a plumber. If you have a natural or propane gas water system, chances are the pilot has gone out. The pilot light is a small flame that ignites the gas burner on your hot water system Melbourne. When it goes out, first try relighting it, following the directions on the label, which is often on the front of the hot water system Melbourne. If the pilot doesn’t relight, or if it goes out right after lighting, by far the most common cause is a broken thermocouple. The good news: you can usually replace a thermocouple for minimal cost and in less than an hour from a local hardware. You’ll get your hot water system Melbourne going without waiting for a pro to show up and save a few dollars! To replace the thermocouple, be sure to turn off the shutoff valve in the gas line; that is, one quarter turn so that the handle is at a right angle to the pipe. Since working room is tight around the burner, we recommend that you simply unscrew the three nuts at the control valve and pull out the entire burner assembly unit. You’ll see either a slot or clips that hold it in its place. Then either unscrew the thermocouple end or pull it out (depending on the water heater) and take it with you to hardware store to find a match. Position the new thermocouple exactly the same way as the old one. The pilot flame should wrap around the thermocouple bulb. To reattach the three lines to the gas valve, thread the nuts into place with your fingers and hand-tighten them properly. Then snug them up with a quarter to half revolution with a wrench. The metals are soft, so don’t over tighten as they will break. Be sure to test for gas leaks. You must have the pilot lit and the burner on for this test so that gas is flowing through the large tube on the system. Reopen the shutoff valve, relight the pilot, then turn the control valve to the “on” position. When the gas burner is on, use a 50/50 dish soap/water mix to test the screw joints for air bubbles that indicate leaks. 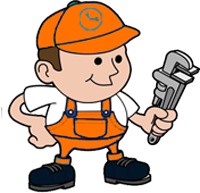 Plumber Prahran, Plumber South Yarra, Plumber Toorak, Plumber Carlton, Plumber Brunswick, Plumber Brighton, Plumber Camberwell, Plumber St Kilda, Plumber Malvern, Plumber Elwood, Plumber Caulfield, Plumber Cranbourne, Plumber Doncaster, Plumber Frankston, Plumber Williams Town, Plumber Port Melbourne, Plumber Carrum Downs, Plumber Glen Iris, Plumber Hampton, Plumber Mordialloc, Plumber Box Hill, Plumber Middle Park, Plumber Richmond, Plumber Burwood, Plumber South Melbourne, Plumber Hampton, Plumber Albert Park, Plumber Elsternwick, Plumber Ivanhoe, Plumber Templestowe, Plumber Essendon, Plumber Pascoe Vale, Plumber Thornbury, Plumber Coburg Plumber Rye, Plumber Portsea, Plumber Sorrento, Plumber Rosebud, Plumber Mornington, Plumber Dromana, Plumber Mount Eliza, plumber Kew, Plumber Chelsea, Plumber CBD, plumber Carnegie, plumber Cheltenham, Plumber Bon Beach, Plumber Mentone, Plumber Seaford, Plumber Carrum, Plumber Safety Beach, Plumber Karingal, Plumber Langwarrin, Plumber Skye, Plumber Sandhurst, Plumber Balnarring Plumber Mount Martha, Plumber Pearcedale, Plumber Baxter, Plumber Clyde, Plumber Clyde North, Plumber Lynbrook, Plumber Lyndhurst, Plumber Fitzroy, Plumber Armadale, Plumber Hawthorn, Plumber Caulfield East, Plumber Caulfield South, Plumber Caulfield North, Plumber Officer, Plumber Hampton Park, Plumber Beaconsfield, Plumber Berwick, Plumber Narre Warren, Plumber Hallam, Plumber Endeavour Hills, Plumber Yallambie, Plumber Westmeadows, Plumber West Melbourne, Plumber Watsonia, Plumber Viewbank, Plumber Tullamarine, Plumber Southbank, Plumber Rosanna, Plumber Ripponlea, Plumber Reservoir, Plumber Princes Hill, Plumber Preston, Plumber Northcote, Plumber North Melbourne, Plumber Montmorency, Plumber Meadow Heights, Plumber Macleod, Plumber Lower Plenty, Plumber Kingsbury, Plumber Kensington, Plumber Wheelers Hill, Plumber Waterways, Plumber Travancore, Plumber Surrey Hills, Plumber Strathmore, Plumber Springvale, Plumber Sandringham, Plumber Patterson Lakes, Plumber Oakleigh, Plumber Oak Park, Plumber Notting Hill, Plumber Noble Park, Plumber Niddrie, Plumber Murrumbeena, Plumber Moorabbin, Plumber Moonee Vale, Plumber Moonee Ponds, Plumber Mont Albert, Plumber McKinnon, Plumber Keilor, Plumber Jolimont, Plumber Jacana, Plumber Highett, Plumber Heidelberg, Plumber Heatherton and all over Melbourne.